Some people buy cars, some people sell everything to go sailing around the world but for my money you can’t beat picking up a uke for a mid-life crisis! I first decided to teach myself uke in July 2010, mainly because I was singing with two novice guitarists who kept changing chords at the wrong time – I needed to play some sort of instrument just to keep them on track! But one thing led to another and before I knew it I was obsessed – every spare moment would find me strumming, scouring the internet for instructional videos and making fumbling attempts at picking patterns. Friends and family quickly realised that there was a new love in my life – it came with me everywhere – to work, to parties, even to the laundry – and that sweet seductive creature of wood and strings soon had me doing something I had never done before. Song writing. When I left my house to the rising flood in 2011 I took my cat, my ukes (by that time there were two), my laptop and some clothes – most of the art work I had collected over the years was lost, photographs drowned in mud, prints destroyed but I had my ukes. As it turns out, that’s all I needed. I wrote songs of loss and love. Songs with darker themes than most people expect from a ukulele player but then we are nothing if not surprising. 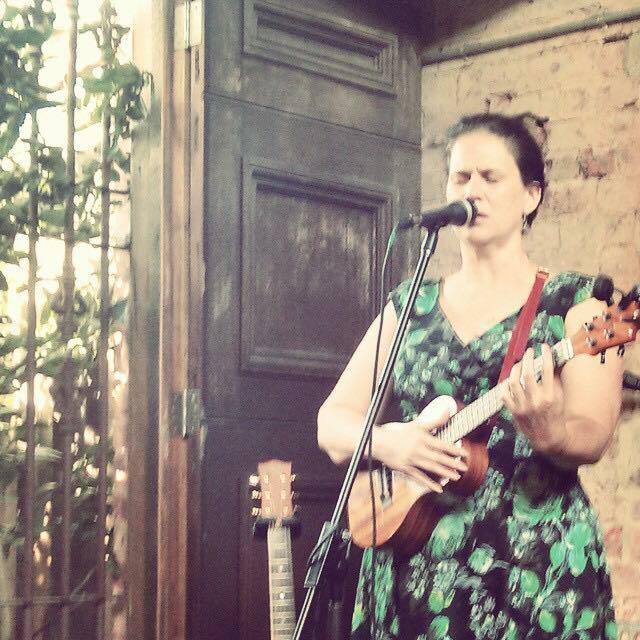 I wrote songs of my home town of Brisbane and I met so many ukulele players. Through BUMS I met one of my closest friends – my song sister Kahiwa – and we wrote songs and performed and laughed together. I became part of a whole community who were never afraid to pick up a uke and sing a song, no matter where they were. And in that environment, in that community, I grew as a songwriter and as a performer. Last year, that little uke swept me away from my home town of Brisbane to Melbourne – a city that has always tempted me – and here the transformation that started when I first strummed a uke has been completed. I have a band. 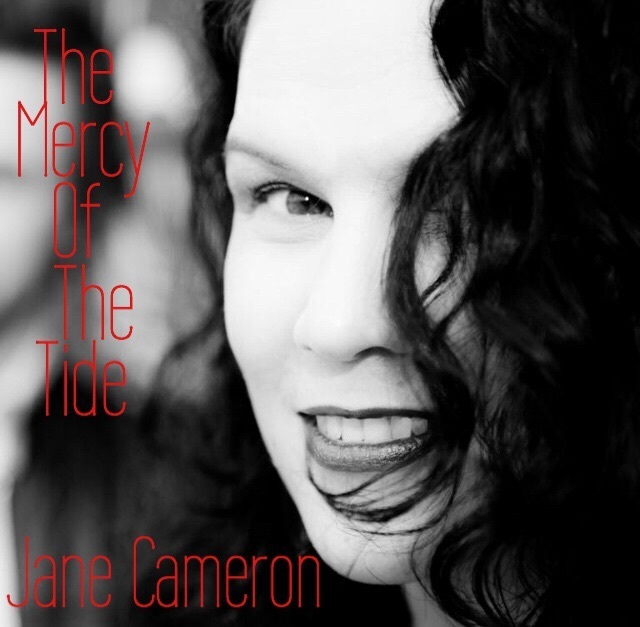 I am recording an album – The Mercy of the Tide. I am a songwriter. I am a musician. I am a ukulele player…and I am happy. Jane Cameron is currently recording her first album The Mercy Of The Tides with the assistance of a Pozible campaign. Janes musical style sits somewhere between folk, blues and jazz carrying a little flavour of each. You can get on board and help her out here. Jane was our saucy MC from the SPRUKETACULAR Concert during SPRUKE 2013 as well as facilitating a songwriting workshop with Kahiwa, and performing ….she was one busy lady! Thanks Jane for letting us post your story….good luck in the competition! Sprukesters you still have time to enter our How Ukulele Changed My Life competition. All the details you need to know are on this page. Competition closes Friday 26 June 2015.